The all-new Ford Focus unveiled last week is now on UK sale for delivery in September, with all main models offering enhanced specification while either being priced lower than before or at carry-over levels. 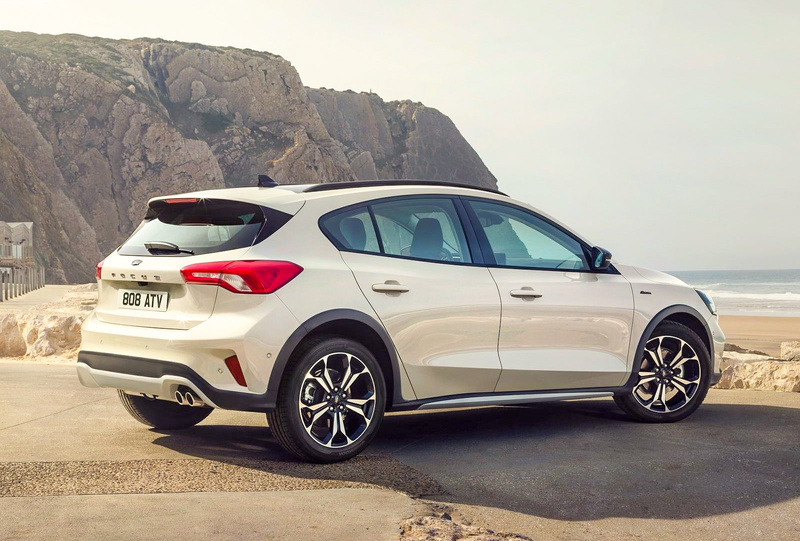 The new Focus range will comprise seven variants from launch. The range walk-up starts with Style, Zetec, ST-Line, ST-Line X, Titanium, Titanium X and Vignale. Totally new from the rubber up, this fourth-generation Ford Focus offers a combination of comfort, safety and driver assistance technologies which make the 2018 model the most accomplished and technically advanced Focus ever. Focus comes as standard with 16in alloy wheels, air conditioning, DAB digital radio with Bluetooth and Emergency Assist, electronic parking brake, autonomous emergency braking, tyre pressure monitoring, Hill Start Assist and Lane-Keeping Aid. Zetec models add highlights such as Ford's acclaimed SYNC3 DAB Radio with a 6.5-inch touchscreen and Apple CarPlay/Android Auto, cruise control with speed limiter, front fog lights and QuickClear heated windscreen. 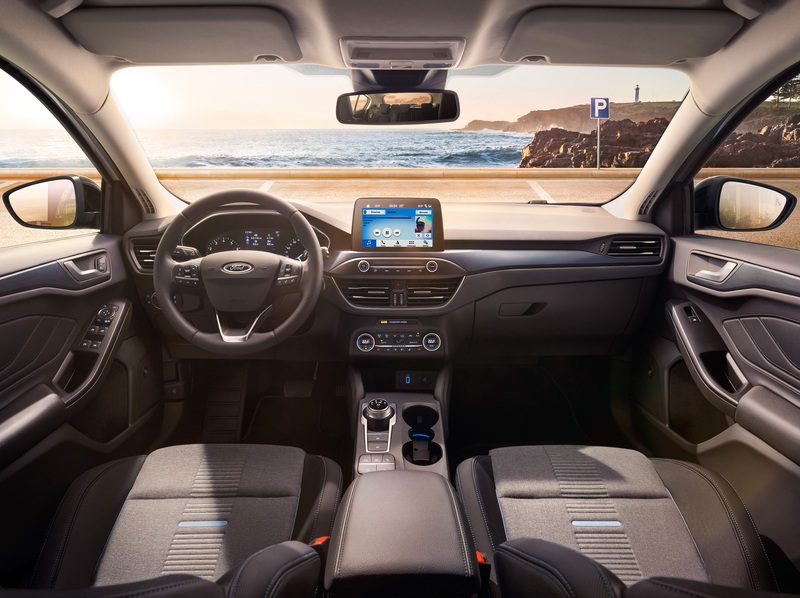 Titanium models bring additional comfort and convenience features including front and rear parking sensors, heated front seats, dual-zone climate control, keyless entry and start, a larger eight-inch colour touchscreen, satellite navigation and FordPass Connect wireless connectivity. The Titanium X trim grades boosts the luxury further with partial leather trim, a power-adjustable driver's seat, privacy glass and 17-inch alloys. For those who prefer their Focus to look more sporty, the ST-Line offers unique body styling, including unique upper and lower grille, rear spoiler and polished twin tailpipes. Inside are a flat-bottomed steering wheel, black headlining, aluminium gear knob, alloy finish pedals and red stitching. The ST-Line X adds 18-inch alloys, red brake calipers and many of the luxury features found on the Titanium X model. 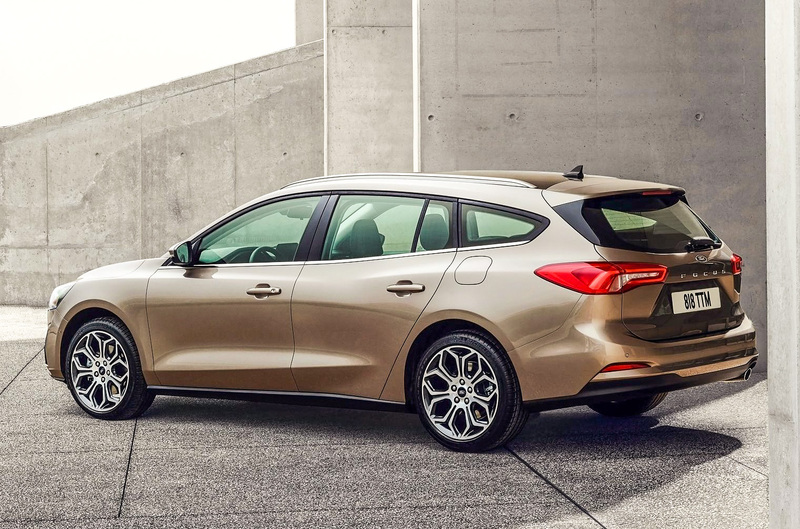 At the top of the all-new Focus range sits the luxury-focused Vignale, joining the upscale Ford range that already includes Mondeo, S-MAX, Kuga, Edge and Fiesta Vignale models. Featuring a unique front grille and body styling with 18-inch wheels, the Focus Vignale is distinguished by full LED lighting front and rear. Inside, the Vignale presents leather upholstery, head-up display, rear view camera, heated steering wheel and the 675-watt 10-speaker B&O Play premium audio system. The Focus Vignale will also be available in an exclusive Dark Mulberry body colour. The acclaimed B&O Play audio system is available as an option on Titanium, Titanium X and ST-Line X models. ➤ Call and have a chat with our award-winning Customer Service Team on 0800 043 2050 to discuss your interest in leasing the 2018 Ford Focus. By Wayne Gorrett (@WaynesWorldAuto), News and Reviews Editor.